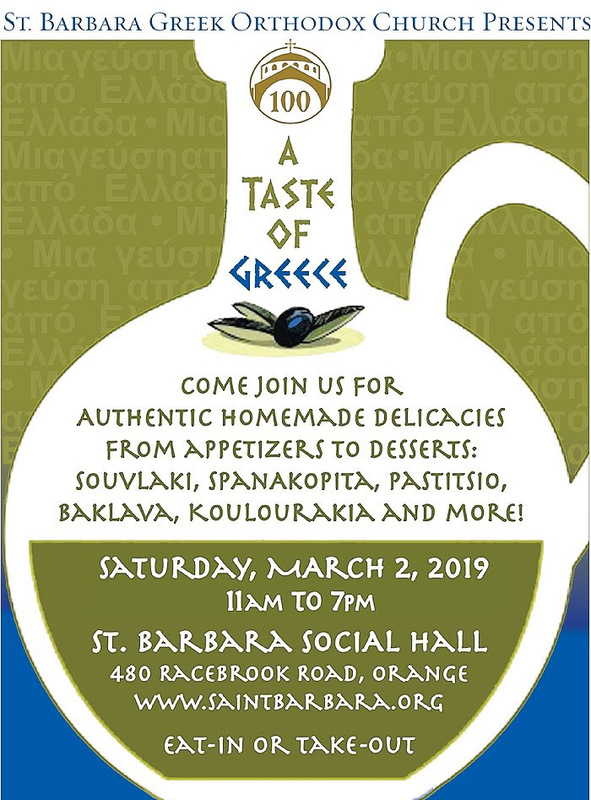 The Saint Barbara Parish, 480 Racebrook Road, Orange, will host its annual one-day “Taste of Greece” Festival on Saturday, March 2 from 11 a.m. – 7:00 p.m. in the community’s Ballroom. The event features its wonderfully prepared Greek cuisine and Pastries. Eat-in or take food with you to enjoy at home. The parish’s Book & Icon Store and a Greek Market will also be open throughout the day. Free Admission. Free on-site Parking. 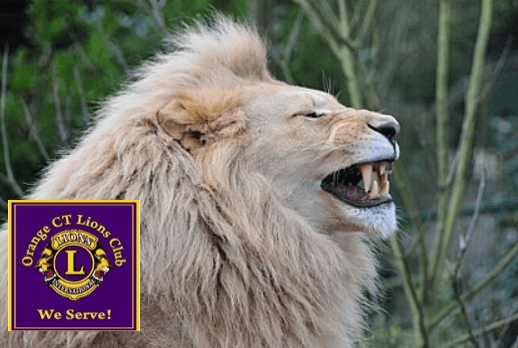 The Orange Lions invite the public to “Come Laugh With Us”, its 4th annual comedy night at St. Barbara’s Greek Orthodox Church’s social hall, 480 Racebrook Road on Saturday, October 13. Doors will open at 7 p.m. to cabaret-style seating where patrons can BYOB and snacks. Setups will be provided, as well as desserts and coffee at the end of the show. A raffle drawing will be held with several baskets on display and awarded to those who choose to participate. The entertainment for the evening will start at 8 p.m. and feature three stand-up comedians. The announcer and headliner is Craig “Fig” Figuereido, whose credits include appearances on HBO, MTV and Showtime channels, among others. Also appearing is Nikki Carr, from Last Comic Standing, and the Ellen Show. Rounding up the night’s billing is Aldo Marachlian, who has appeared in Comedy After Dark-Comedy Central and at the Apollo. This is the fourth annual Orange Lions comedy show, for which the net proceeds will be donated to Orange Lions Charities. 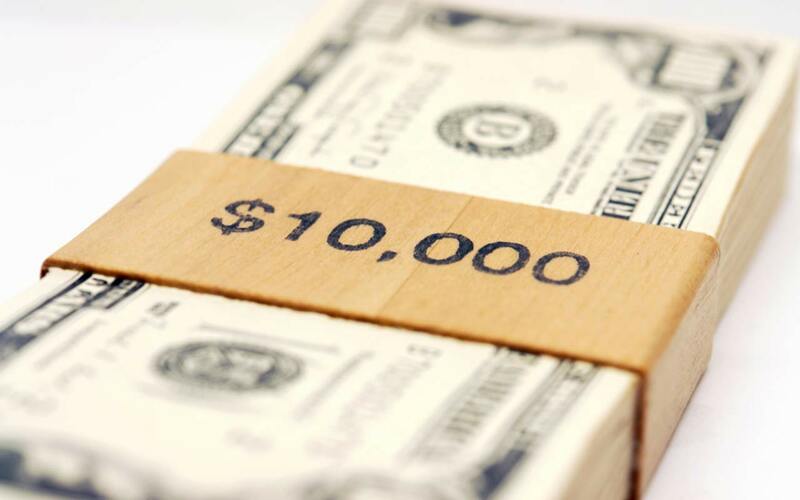 These include the Community Grants program, which benefits local organizations such as the Volunteer Fire Dept., the library, girls scouts, etc., the Lions Clubs International Foundation, and other blindness prevention programs. Tickets are $30 each if purchased in advance, or $35 at the door, and are available from any Orange Lion, or by calling Lion Ken Lenz at (203) 795-3906. As is true of most stand-up comedy this is an adult-theme show intended for mature audiences only. So please “come laugh with us” for a great cause, and have a good time. This popular event is growing each year and may sell out. Get your tickets soon. The St. Barbara Greek Orthodox Church Odyssey Festival took place over the Labor Day weekend. Aside from the fabulous food, delightful dancing, and the great sense of community, the one thing that excited festival goers most was the thought of winning one of the ten amazing raffle prizes. The huge spinning barrel was filled with slips of paper representing the participant’s dreams. On Monday evening, several volunteer children lined up for a turn at picking a winning ticket. The delightful Rev. Peter J. Orfanakos gave each child directions on the proper way to grab a ticket (just one). Watching those interactions was worth hanging around for. … and the teens all walked away. Congratulations to all the winners and a big THANK YOU to everyone else who participated in the raffle, your support means a lot to us! We will see you next year at the 39th Annual Odyssey Festival!